A compilation of bhajans sung by famous singers of Bolywood. Heartwarming and refreshing. 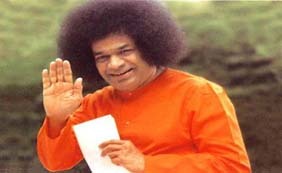 A compilation of bhajans sung by Sathya Sai Students. Bhajans are devotional songs which are most melodious and meditative. Some bhajans are sung in some Ragas, which are very healing to the mind and body. By listening to bhajans, one gets lost in divinity, and merges the mind and senses in God. “In the beginning there was the word, and the word was God” Hindus believe that the word was “AUM”, also pronounced as “OM”. All mantras and bhajans begin with OM, because in the beginning there is God, and in the end, there is God. Rest, all in between, is Maya. Bhajans cleanse the mind of its vagaries and attunes one to purity and divinity. Bhajans are one of the important practices of spiritualism. In the Hindu ancient scriptures, there are stories of some devotees who attained God realization just by singing bhajans of God all the time. They were in a constant meditative state, where their minds had immersed in God. By singing and hearing bhajans, many bad karmas are washed away, and the soul transcends to a higher level of consciousness. Here are some links to some bhajans. 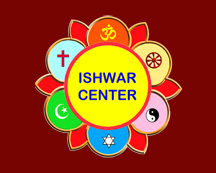 At our ISHWAR center, we conduct and teach bhajans. Those interested may call us at the center. Please note that all spiritual discourses and bhajans are free of any charge at our center.